North Carolina-based real-estate investment-management firm Asana Partners are the newest property owners in Harvard Square. This summer, the Dow-Stearns Family Trust decided to sell 1-8 Brattle Street and 17-41 Brattle Street, which currently house small businesses like Cardullo's Gourmet Shoppe and Black Ink. The $108-million sale is part of a much broader shift in Harvard Square's identity. Asana is not the only out-of-town voice playing a key role in the Square’s evolution and potential redevelopment. Regency Centers Corporation, a real-estate investment trust from Jacksonville, Florida, is behind “The Collection at Harvard Square” project which will turn the flatiron-style Abbott Building into a commercial shopping mall. 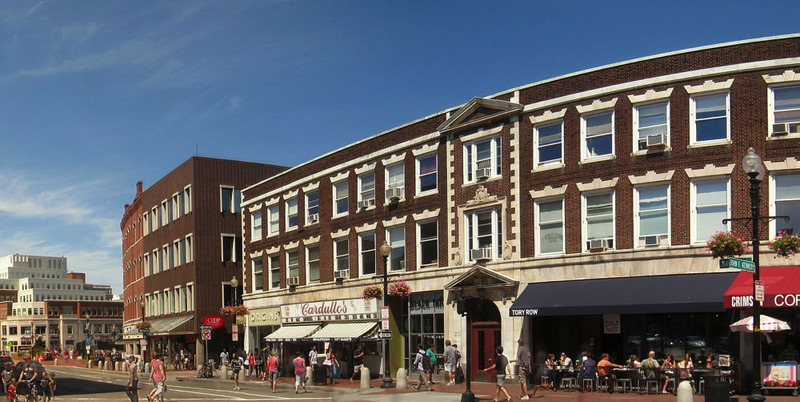 Community groups like the Harvard Square Neighborhood Association and Our Harvard Square have been asking the city of Cambridge for increased transparency for construction plans in the Square, so as to keep changes as accountable to Cantabrigians as possible. Denise Jillson, director of the Harvard Square Business Association, says she was pleased by the initiative Judd has shown with regards to the sale. “He seems to want to come in and clean things up a bit, and he reached out to us at HSBA after Asana connected with all the tenants in the two buildings on Brattle Street.” Jillson also feels optimistic about Asana’s ability to do critical maintenance work on the Brattle buildings (the HSBA is a tenant), saying that the buildings are in need of electrical, heating, and ventilation improvements.